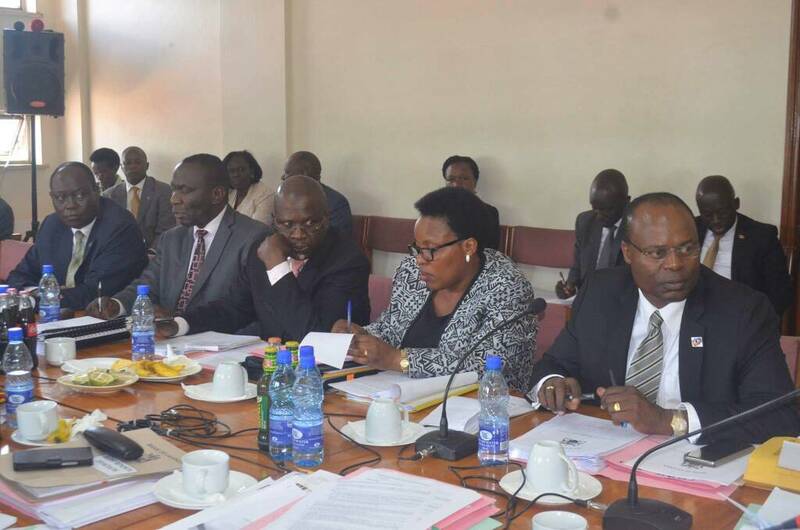 KAMPALA – Eight top Bank of Uganda (BoU) officials face the spotlight as the parliamentary inquiry into the sale of seven banks including the Shs 200 billion giveaway of Crane Bank to dfcu Bank enters week three. MPs on the Parliamentary committee on Commissions, Statutory Authorities and State Enterprises (Cosase) who investigating irregularities in the closure of commercial banks following the Auditor General’s special audit last week orders the central bank officials to file all the papers as it emerged the BoU Board didn’t endorse the selling of some of the banks. The 8 are deputy governor Dr. Louis Kasekende and senior bank officials Benedict Sekabira, Timothy Sekirayi, Grace Ndyareeba, Margaret Kasule, Titus Mulindwa, William Kasozi and Justine Bagyenda who has since retired from the central bank under a cloud. The MP’s inquiry is also focusing on the mismanagement of closed banks by BoU after the Auditor General Mr John Muwanga issued a stinging criticism of the central bank in a special audit that cited massive flaws in the closure of Teefe Bank (1993), International Credit Bank Ltd (1998), Greenland Bank (1999), The Co-operative Bank (1999), National Bank of Commerce (2012), Global Trust Bank (2014) and the sale of Crane Bank Ltd (CBL) to dfcu (2016). All the former directors of the above closed banks will also be cross-examined by the committee.